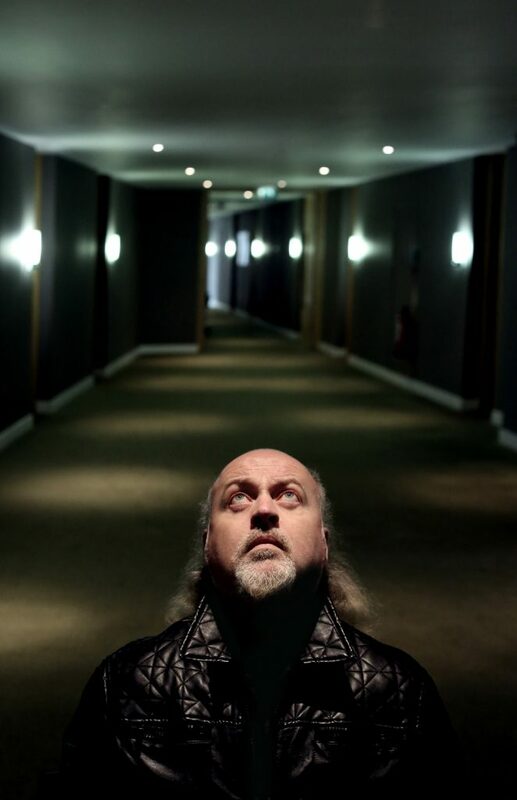 Comedian and musician Bill Bailey will feature at Shanghai Dolly in Clarke Quay on April 14 as part of the Magners International Comedy Festival. The Englishman will kick off his brand-new new Live in Asia Tour 2018 in Ho Chi Minh City, followed by Bangkok, Pattaya, Phuket and Shanghai, with his last stop in Singapore. The ever-evolving show will feature new material gathered from his tours and encounters over the last year. It will have tales from his travels and shenanigans from 20 years of performances in different countries. Along with his signature musical virtuosity and trademark intelligence, Bailey will tackle politics, philosophy and the pursuit of happiness. The 54-year-old has enjoyed success on the stage for many years. He had previously taken his Limboland and Larks in Transit shows to Hong Kong, Singapore, Australia and New Zealand. The performances received packed houses and critical acclaim. The Herald Sun described Larks in Transit as “a solid new effort from a genuine marvel”. In 2011, Bailey did one of the biggest comedy gigs in the world, performing before some 60,000 fans at Knebworth, England, when he headlined the Sonisphere Festival alongside rock gods Metallica, Slayer, Megadeth and Anthrax. In 2013, he fronted a two-part BBC2 documentary, Bill Bailey’s Jungle Hero, in which he retraced the steps of his unsung hero of the natural world, Alfred Russel Wallace. Bailey told of Wallace’s extraordinary 8-year expedition across Malaysia, Indonesia and Singapore in his quest to unravel the mystery of the Origin of Species. On the big screen, Bailey appeared in the film Saving Grace, had a cameo appearance in the comedy feature Hot Fuzz and played Farmer Macreadie in the comedy sequel, Nanny McPhee and the Big Bang. He also appeared in the John Landis comedy Burke and Hare and the snowboarding rom-com Chalet Girl. Bailey has for long been a supporter of numerous charities, including International Animal Rescue, with whom he visited dancing bear sanctuaries in India in 2005. He is also patron of Good Vibrations and The Music House for Children, as well as an Ambassador for Youth Music. He continues to support many other worthy causes, including The Sumatran Orang Utan Society, Bowel Cancer UK, Prostate Cancer UK, The Asthma Society and Reprieve. He is currently filming a comedy drama called In the Long Run, created by Idris Elba for Sky, and developing new ideas for a TV series to be produced by his own company Glassbox Productions. He also recently walked 100 miles with his closest pals from Bedfordshire to Wiltshire in England in memory of his mother and in support of Stand Up To Cancer charity foundation. The tour is brought to you by Magic Rock, a Singapore-based company that organises key entertainment events in the region.